Introducing Kenra Platinum's new Snail Collection. You're going to be hearing a lot about these anti-aging hair products, so we thought we'd give you a first look! 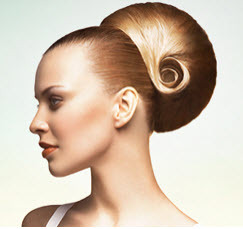 Snail essence is a phenomenon sweeping the beauty industry. 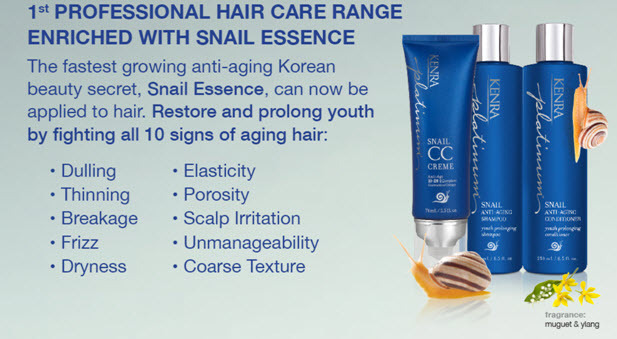 Korean snail essence is that slimy stuff snails produce to repair the cuts on their bodies. Yuk! may be your first reaction, but it is a highly concentrated blend of proteins demonstrated to have amazing results for anti-aging hair and skin care.